When you write an essay, you learn. You learn to express yourself, you learn to pen down your feelings and you learn to give your thoughts a meaning. Essay writing not only boosts up your learning capability but also develops your writing skills, thinking power, vocabulary and your writing style. It is an opportunity to speak directly to the mass audience. Writing develops you in many ways. Even when you decide to take admission in a university, you have to write an essay to prove your potential. Essay writing is very common in academics as well as in personal. There are various types of essay, so it’s very normal to get confused between the formats while writing an essay. However, essentially there are four most common categories of essays. Now, here our major concern is on Reflective essays. 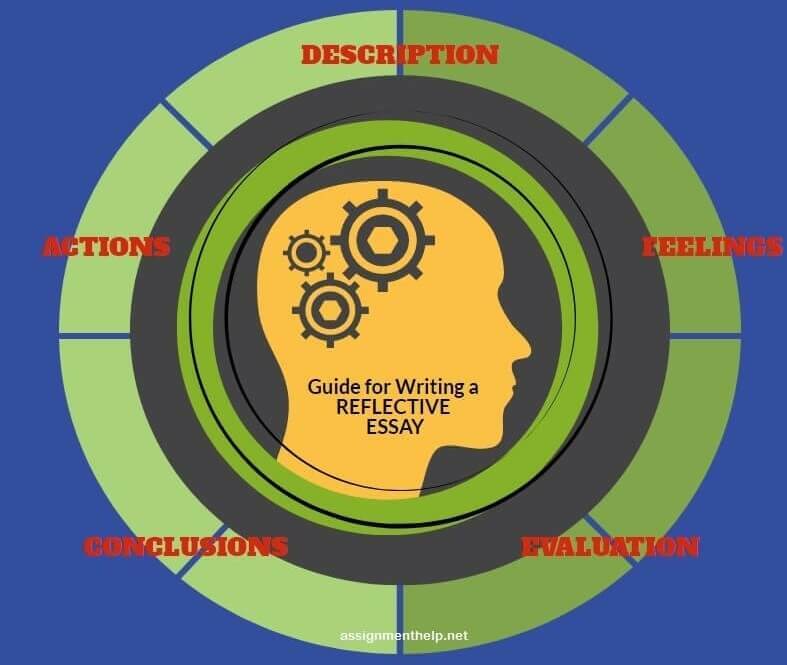 As this type of essay writing is very famous among the writers, today we will discuss what reflective essays are and how to write them in an impressive way. It is very clear from the name that a reflective essay reflects something, but what? It reflects your personality, people you have met, places you have been and the experience that has influenced you in the past. A reflective essay is a medium to tell people about yourself and what has made you that way. It describes your experience and what you have learned from it. Reflective essays do not have any fixed format; they are very flexible in style and structure and the format depends on who your audience is. The best part is that there is no need of prior research. No need of wasting your weekends in searching facts and figures. Just relax, take a deep breath, take out a pen & paper, go with the flow and write whatever comes to your genius mind. How to Start Writing a Reflective Essay? While writing a reflective essay, choose a topic on which your audience wants to read. Yes! We know reflective essay is all about the thoughts on your mind and the experience that has changed you completely, but don’t forget it’s an essay, not your personal diary. Try to be meaningful and choose a topic that is worth your reader’s time. It is your territory! Even if it is your school assignment, you have to choose your own topic. So choose it wisely. You can write about a number of things; something that you have imagined or about a real experience. Write about the person who has influenced and changed you completely. Write about something that you have watched or read and it motivated you to become a person you are. Write about a place or a special object that inspired you to become a real human being. Choices are many but the decision is yours. Be it the time when your beliefs were challenged or the time when you overcome your biggest fear, everything is all about you. Here you are the center of this universe; try not to borrow a topic from your friend’s desktop or your mom’s diary. Isn’t it strange how a small part of the body stores a dozen of memories and people inside it? For a minute close your eyes and remember that happiest day of your life you would like to relive, think about the people who were there on your happiest day, think about the person who said you mean everything to him, recall the smallest incidents of that day, think about how that day has changed your life and made you a better person, think about the music, the serenity of the hills, the white clouds, the voice from the neighbor’s house, the noise of the pressure cooker and every little detail of that day. Before start writing your essay, like for example, ‘The happiest day of my Life’, spend few minutes thinking about that day and try to experience every moment of it in your visionary world. It is very important to remember each and every detail of the experience you are going to write your essay on. Just close your eyes and let your hippocampus work! It is time to take out your creative side. Now you are done with thinking; Let your mind take rest and your hands should start working. Write down everything, the every little detail you can think about your topic. Don’t bother about the spellings, grammar or sentence framing; just write whatever comes to your mind. Try to describe your experience as vividly as you can. Like for example, your topic is ‘A day I can’t forget’, what will be the first thing that comes to your mind? Write it down. Write about the fresh jasmine flower’s fragrance the lady was carrying, write about the mesmerizing waterfall you saw on your way to home, write about the traffic noises that distracted your thoughts, write about the taste of nachos you ate that day, write about the fastening of your heartbeat when that girl touched your hand and write about you; what you felt? Go to Google, write down sense describing words & different adjectives and try to use them to express every moment you experienced. Once you are done writing, assign everything in paragraphs in a systematic and meaningful order. Take out your vocabulary gene! Now you are done writing about the scenario, the surroundings, the atmosphere, the people and yourself. Let’s go for the detailing part. It is very necessary to mention that particular moment of your happiest day or your unforgettable day which changed you or changed the life of people around you. You need to provide answers to the reader’s ‘how’, ‘when’, ‘why’, ‘what’, ‘whom’ and ‘which’ categories questions. Let’s talk about the first examples. Suppose you are the reader, then what you will search in a reflective essay with the topic ‘The happiest day of my life’? I guess the most common would be that how the writer spent it. But after a paragraph or two, you will definitely look for something different, something out of the box, something that makes reflective essays different from others and that something is what every writer should focus on, the details of that particular life-changing moment of the happiest day of writer’s life. The questions that you should answer in your ‘The happiest day of my life’ essays could be; what did you notice different on that day? How did you feel about that? Why did it make you feel that way? How was that something unexpected? How has this changed the way to think now? And, what is the meaning of that incident in your life? Answer as many as questions come to your mind! You have decided your topic, done with your thinking and writing part, answered all the reflection questions and now only one thing is left. One last thing and you are ready to write your reflective essay. The most important thing is what you have learned from the experience? Or what is that lesson you will carry with you for the lifetime? Every essay has a thesis that states something significant to the reader. For the reflective essay ‘the learning outcomes’ will be the thesis that summarizes the main point of the essay. The learning outcomes will state why this essay is worth reading and why is it important? Your essay without strong learning outcomes will not be able to grab the attention of the readers. Every moment life teaches you a new lesson! Learn it! As now you have gathered all the relevant information, you are now ready to organize the data in a structured form. Take out all the notes that you have written earlier and started working on your final draft. All the data is in your hand. You will not need much time to rearrange everything so that it makes a proper sense to the reader. Like all the other types of essays, a reflective essay also starts with an introduction. The first impression is the last impression and there is no doubt in that. You have to grab your reader’s attention from the very beginning. Your introduction should carry the best part of your experience or the event. Give readers a reason to read your essay till the last. The introduction of your essay should cover the most exciting part of your story. Rainbow in the rain, the gorilla attack, a glimpse of your crush, an accident of your loved one or it can be anything in the universe that can hold your readers until the end. With the most exciting part of the story, your introduction should also cover a brief about the most important part of your essay or in simple terms ‘the thesis statement’. A thesis statement includes how a particular place, person, thing, or event influenced you and changed you majorly. But wait! Remember, here we are talking about a thesis statement not the full description of that important part. So don’t be a like Walrus! Don’t just talk about everything. It is your introductory paragraph, be specific and choosy with your words because you will have to expand on this later in your conclusion. To make your introduction more effective, you can start it with a question. A question can be like; Have you ever been to place full of hope and motivation? This will connect your readers with your essay. A writer is judged by his connections with his readers and little things like this are going to help you make a strong connection with your readers. But don’t forget to answer it at end of your essay! The body of a reflective essay is the best part for the people who have a habit of elaborating each and everything. It is an opportunity for the writer to pen down every thought, the memories, the voices and the noises. Just make sure to use a systematic arrangement of events in the order of their occurrence so that it makes sense to the readers. Neither go completely linear nor jump too much around the timeline. Remember the notes you have taken before writing the final draft? The questions you framed and the answers you wrote? Yes! You got me… Take them out from your drawer because these answers will be the outline of your body. These notes are going to save your time and will help you to figure out a proper order to put everything together. Your essay’s body should include every detail of the event. From the impact it has made to the things you have learned, everything needs to be mentioned in the body. How to Write the Conclusion for a Reflective Essay? Here comes the end! Just one more thing and you are all set to write a reflective essay. The conclusion, as we know, is the basic and the most important element of any piece of writing. It includes the synthesis of what you have written in your body. Your conclusion should be strong enough to leave a long lasting impact on the reader’s mind. The conclusion of a reflective essay should expand and explain the thesis idea that has written in your introduction. Add on more points to it and tell the readers how this event taught you something new, how it was different from other incidents like this, how this experience has helped you to understand something in particular and why it was so important to tell people about this. To make your reflective essay stands out from other mainstream essays, conclude it by telling readers your future plans, such as where you might like to go from this point with lessons you have learned and the experience you have gained. Give readers a lesson for life or a suggestion on a relationship or anything that can add something to their lives.